1969 was the year of one of the greatest early progressive minded albums ever, crafted by a young band that was on the way to becoming the greatest progressive minded group ever. I am, of course, referring to Court of the Crimson King; I'm not stupid. What? You thought I was talking about Stand Up here? Oh, it's only just as good, but essentially overlooked. Half of that is because it's overshadowed, of course. But the other half (I believe, what do I know) is because it's not as proggy as those cwazy Tullers were destined to become in a year or so (besides, although the songs aren't progressive, the album is. 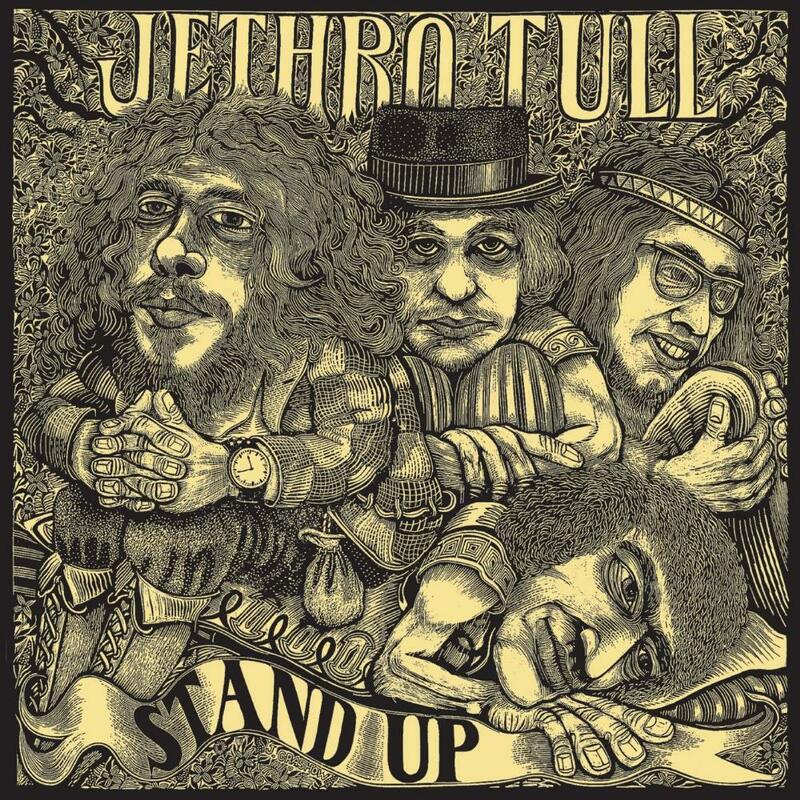 And the cover's awesome, arguably Tull's best). But is it good? Oh yes. We kick off with "A New Day Yesterday." A blooz rocker that rocks the blooz outta everything off This Was AND Led Zeppelin I. I understand that Jimmy Page was in the studio, and his brain exploded. Yep. True story. Okay, about the song, yes. Great descending riff, fuzzy guitar attack from Barre, a creepy flute solo from one Ian. After the powerhouse "New Day Yesterday," we get a couple of light songs. One, the Indian-esque "Jeffrey Goes to Leicester Square," is bland and kinda throwaway. But the "Bouree" is a downright classic. It's a jazzy take on Bach's "Bouree in E Minor." Frantic flute and bass within and throughout, sort of an adult version of "Serenade to a Cuckoo." "Back to the Family" is an angry rocker about life on home and on the road. It's kinda fun, but also kinda of sloppy. Not sloppy at all is the downbeat ballad "Look into the Sun," Ian's first shot at real beauty. And it works. The interplay between Ian's acoustic and Martin's electric guitar(s) is fantastic. The rocker "Nothing is Easy" is a great jam band song, although its true potential isn't unlocked until it's done live. After so many intense rockers, the goofy lil' "Fat Man" comes off brilliant. Like "Leicester Square," it shows an Indian influence, but much more focused. It's also fun, with bouncy sitar/guitar, wispy flutes, and hilarious lyrics. And I don't even midn that there's a sitar in it! That alone is an achievement (although I THINK it might be a mandolin...damn that clever Ian!) My personal favorite song on the album is "We Used to Know," a depressing psychedelic rocker, with endless soloing and Martin's best wah-wahs ever. Supposedly inspired "Hotel California," but you already knew that. But I bet you didn't realize that this is proof of how DIFFERENT and INNOVATIVE Tull was: while everyone else's guitarist, from Fripp to Trower to Blackmore, was ripping off Jimmy Hendrix, Martin as wholly original; he was ripping off Eric Clapton. No one would be doing that for years. Ahead of its time. "Reasons for Waiting" is another lush ballad, and it sounds suspiciously like "Look into the Sun," with the lyrics softer, and the musical emphasis being transferred to flute and a string quartet (David Palmer is already an unofficial member). Oh well, it's a great tune Ian ripped himself off with, and it's still gorgeous. Too bad it lasts a little too long. But "For a Thousand Mothers" should earn your trust back; it's a wrathful rocker with angry lyrics once again aimed at Ian's family. Brilliant soloing, and just when you think it's over, they slam you with a great coda. But the real strength of Stand Up is simply that it has no really bad songs on it. Even the numbers that bore me don't insult me. It's a remarkably even listen, and quite possibly the best introduction to the band you can find (if you're not in for the marathon listen of a Living in the Past or Bursting Out). Everything that Tull ever could be is contained on this disc; Ian just hadn't started linking that into twenty-minute suites yet.